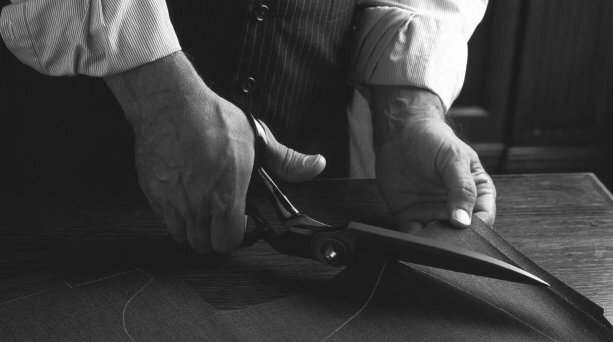 With over 30 years of experience, we have become London’s leading tailoring specialists in Waistcoat Alterations. The most important aspect of any Waistcoat is the correct fit. Our highly experienced and talented Master Tailors have the expertise to help you achieve the desired look. The Body: the waistcoat is the slimmest garment in menswear and it is supposed to be cut with very little tailoring allowance as it is meant to have a very close fit. A well-tailored waistcoat “skims” the body without feeling too tight or showing any fabric pulling. There is typically an adjustable strap at the back to loosen the waistcoat, if required. If your waistcoat doesn’t not fit you correctly our Master Tailors will adjust the sides to ensure the waistcoat is snug and fits close to the body. The Length: One of the most important elements of a well-fitting waistcoat is the length. It should fully cover the entire waistband of the trouser and never let any shirt fabric show in between. This means the trousers also need to be sitting on the natural waist. If you feel that the length of your waistcoat needs adjusting, visit us for a fitting and our Master Tailor will provide his expert opinion. Why choose us for your Waistcoat Alterations? Our highly experienced and talented Savile Row trained Master Tailors will work on your Waistcoat for as long as it is required to make your Waistcoat perfect. We will focus on your needs and work with you on a one-to-one basis. This means that the same Master Tailor you see at your first fitting will attend to you during all your fittings, as well as work on your Waistcoat. As our Tailors have at least 20 years of experience, we can assure you that your Waistcoat will be in the best possible hands. This makes us the number one choice for anyone seeking the perfect fit. Alterations Boutique is a VAT registered Limited company with a comprehensive insurance policy that covers your waistcoat whist it is in our possession. Unfortunately, there are individuals that have set up rogue businesses that do not pay tax, take cash only and do not have the correct insurance in place which means you and your garment have no protection. We are proud to be a British company that complies with all rules and regulations to provide peace of mind to our clients.